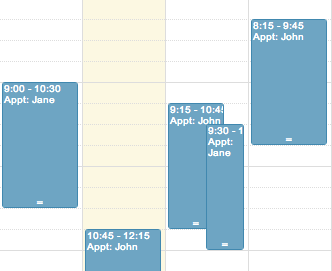 Appointment scheduling is one of most important functions of an acupuncture practice. A practitioner needs to quickly and easily book appointments and move to the next important task at hand. The new calendar now shows in 15 minute increments instead of 30 minute increments. This provides easier viewing of appointments start and end times. 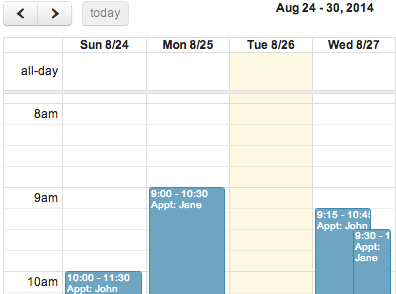 Creating an appointment is now easier. 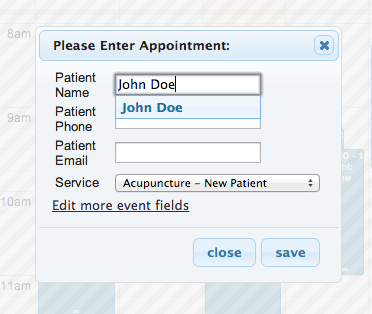 The appointment creation dialog provides a quick patient lookup as well as having the Service more easily selectable. A unique and wonderful feature of an acupuncture practice is the ability to treat multiple individuals at the same time. This allows for providing medical care at scale. 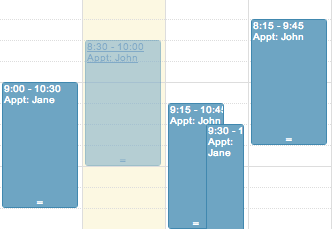 The Calendar+ allows for scheduling multiple overlapping appointments. The ability to easily reschedule appointments by drag and drop makes for a more efficient practice and better way of interacting with the Calendar. As we move forward, we will continue to enhance the new Calendar+ to help acupuncturists with this crucial task in managing their practice and to look for ways to increase efficiency and productivity.